Join this major gathering of hundreds of professionals from the QA field — testers, programmers, engineers, and project leaders — to talk about the all-important challenge of testing (and testing again!). This conference will include talks on all the most important and practical parts of software testing, such as test automation, performance testing, benchmarking, and much more. 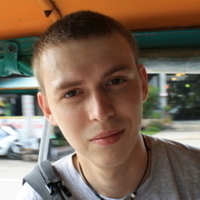 Alex Rodionov, a Team Lead at Toptal, will give a talk on testing with Petri nets. Alex will share how Toptal started moving from usual tests to model-based testing; the problems faced during this transition; and why his team uses a Petri net instead of the state. The talk is illustrated with examples of Petri nets and plenty of Ruby code. Join Alex May 18th at 10:30 am if you want to find out what to do when tests cannot catch all the bugs. You’ll learn how to increase test coverage and find more issues — without creating excessive tests or sacrificing their execution time. The event takes place May 17-18 from 10:30am to 7:30pm. For more information and to get your tickets, please see the event website.